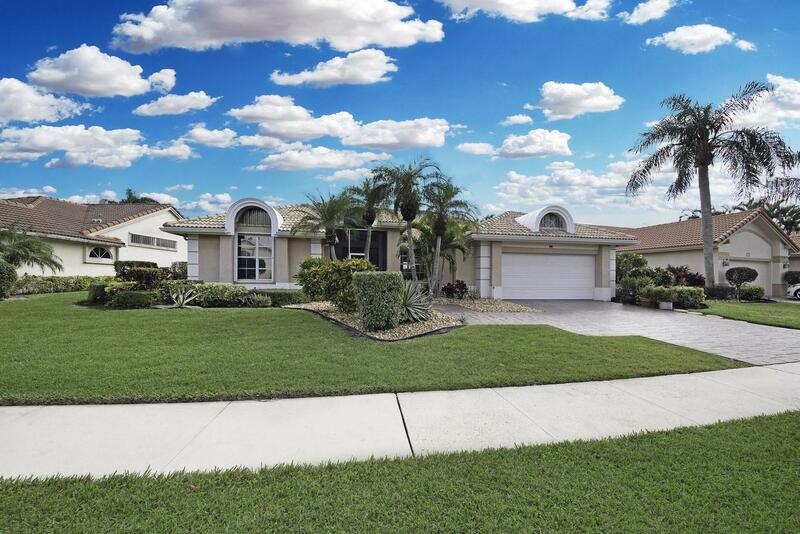 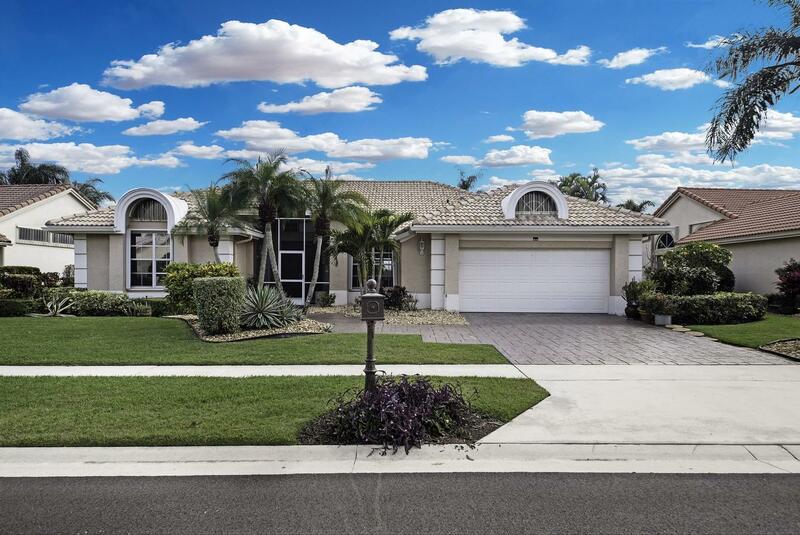 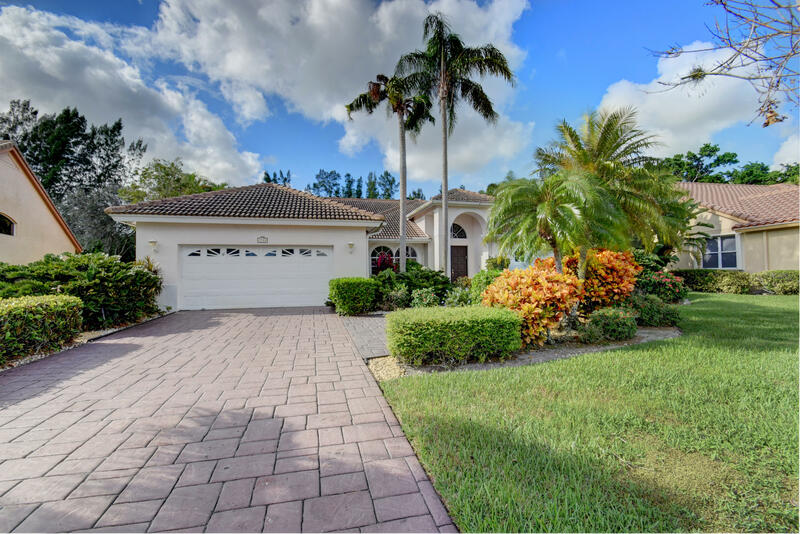 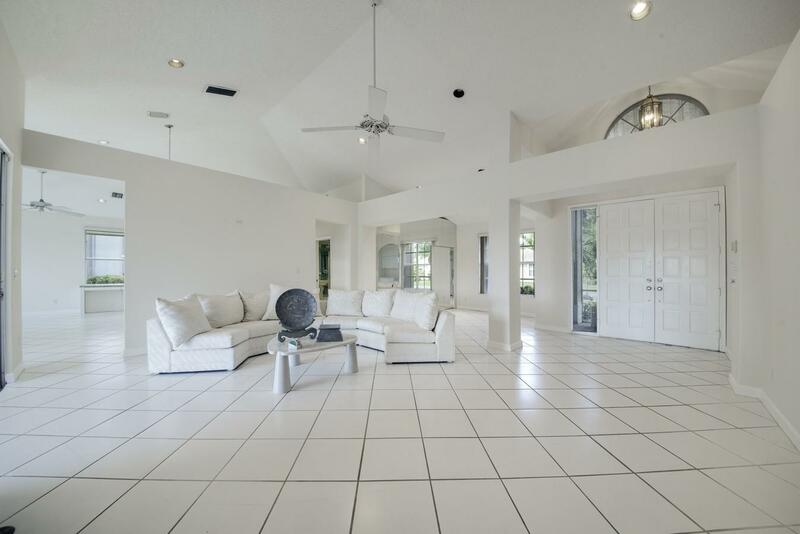 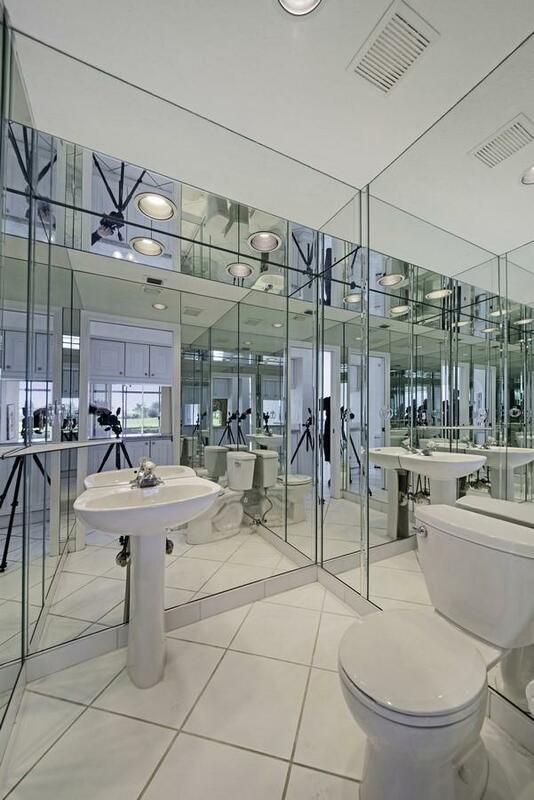 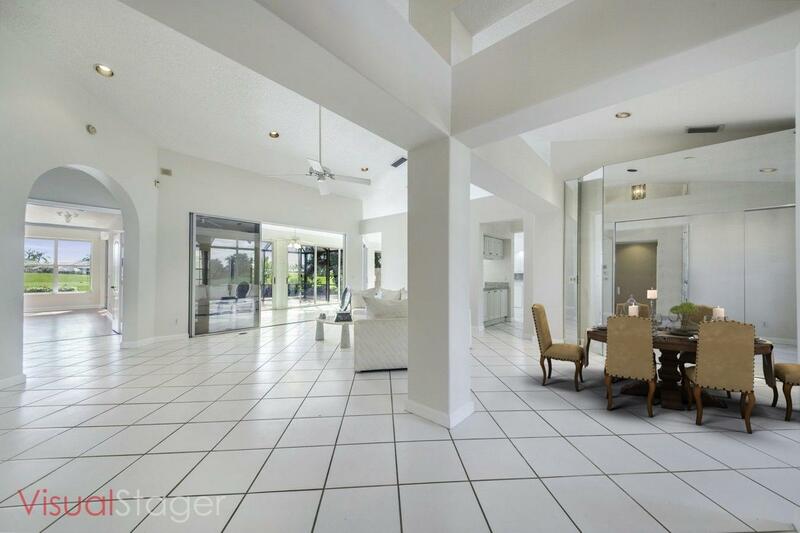 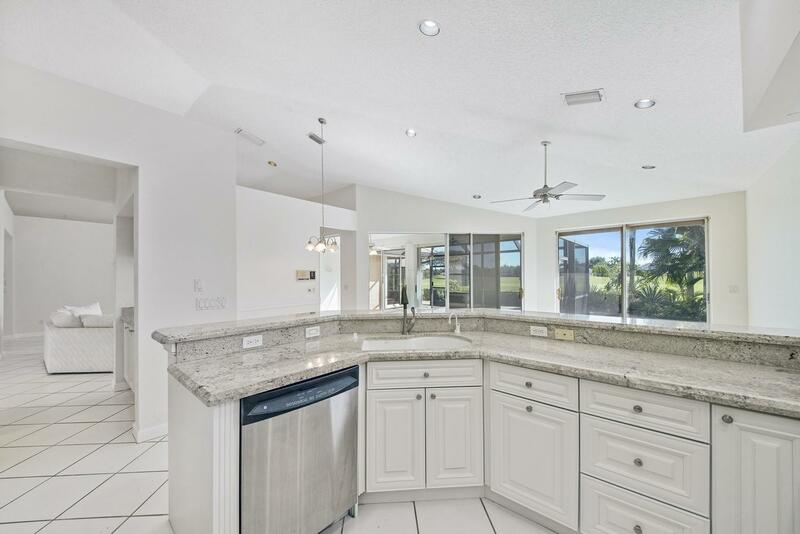 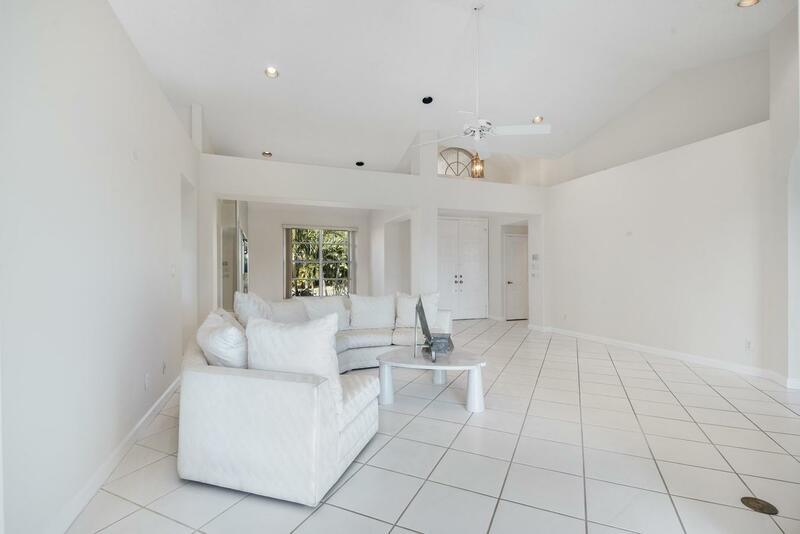 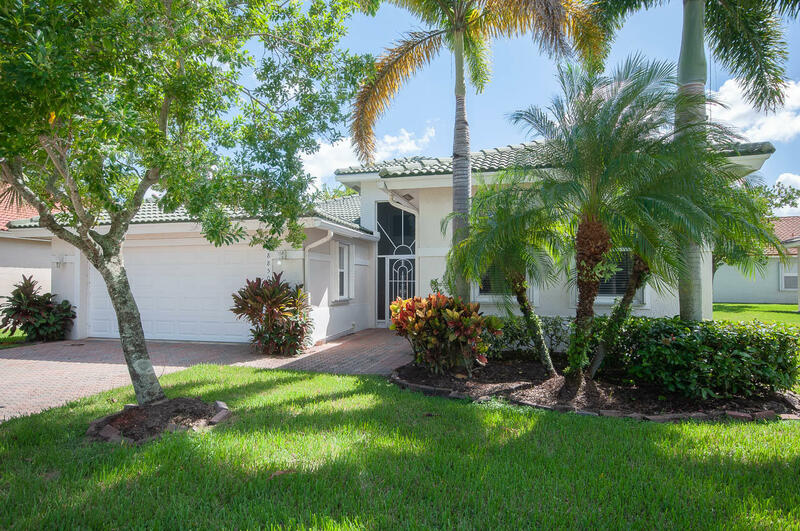 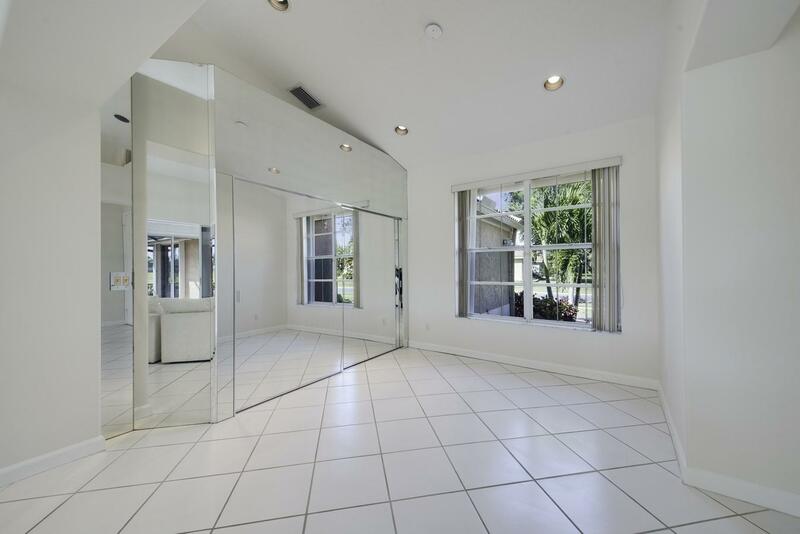 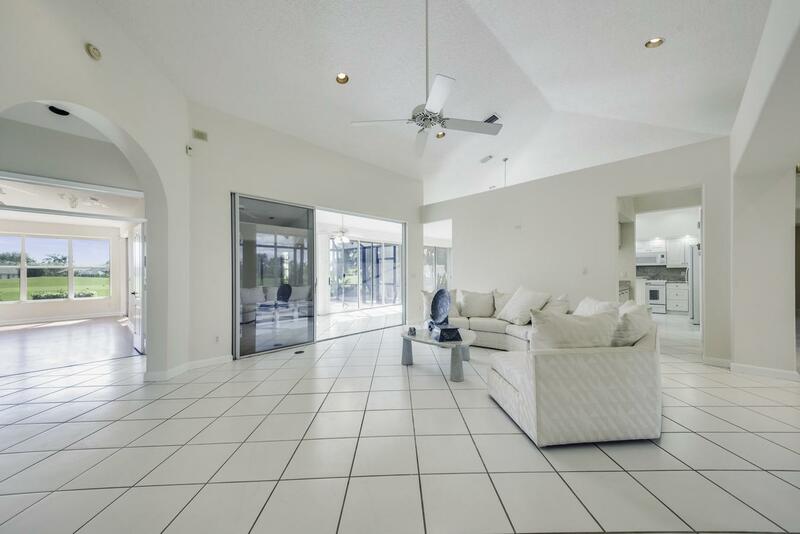 This elegant 3 bedroom, 3.5 bath home offers the best outdoor living that sunny South Florida has to offer. 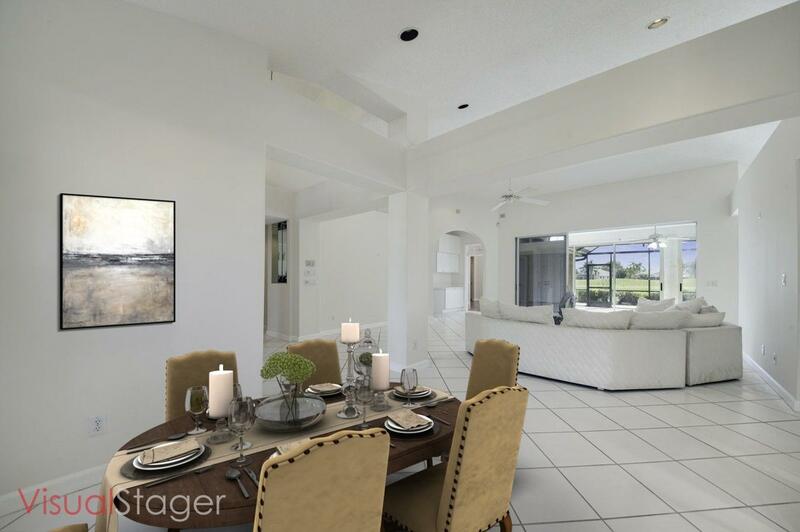 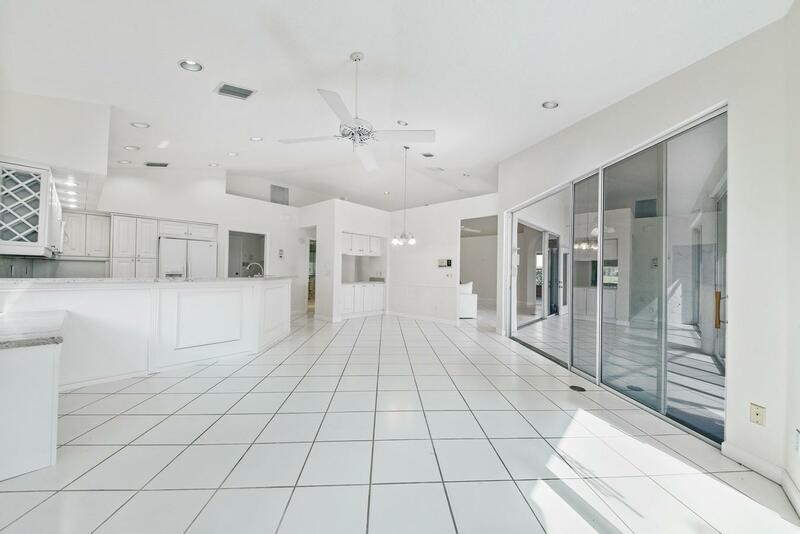 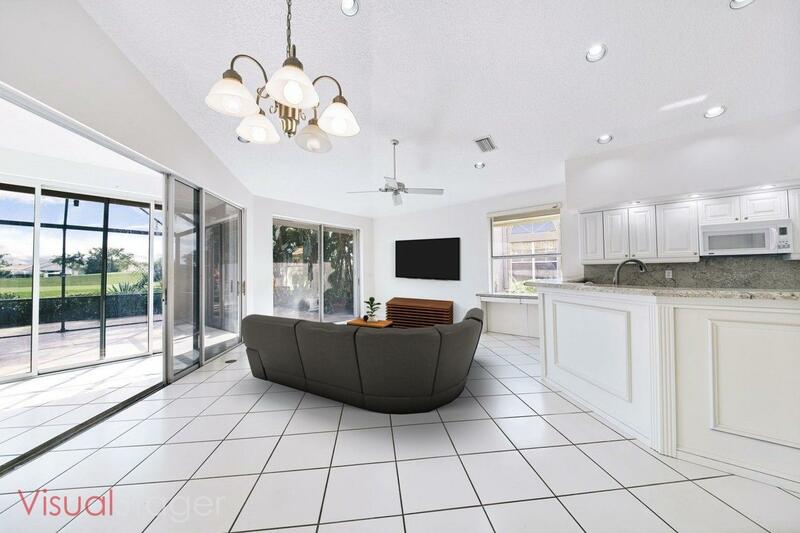 Ideal layout for entertaining with a formal dining room, living room, family room and screen enclosed patio. 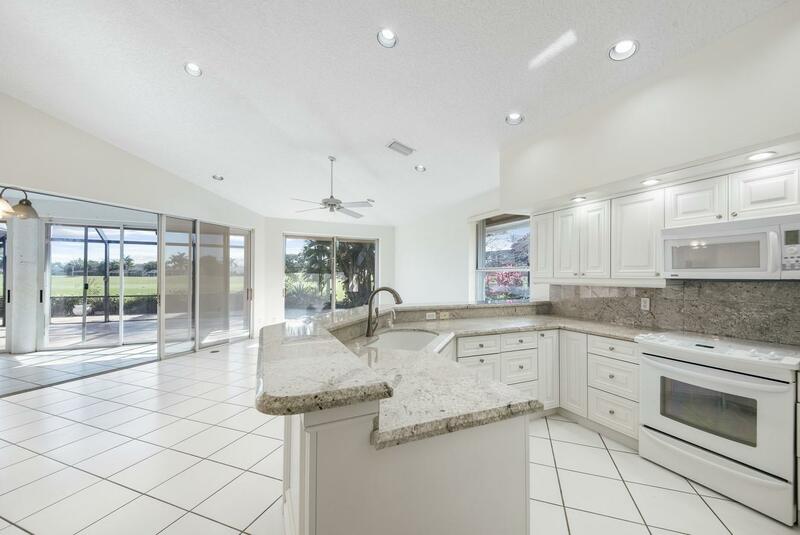 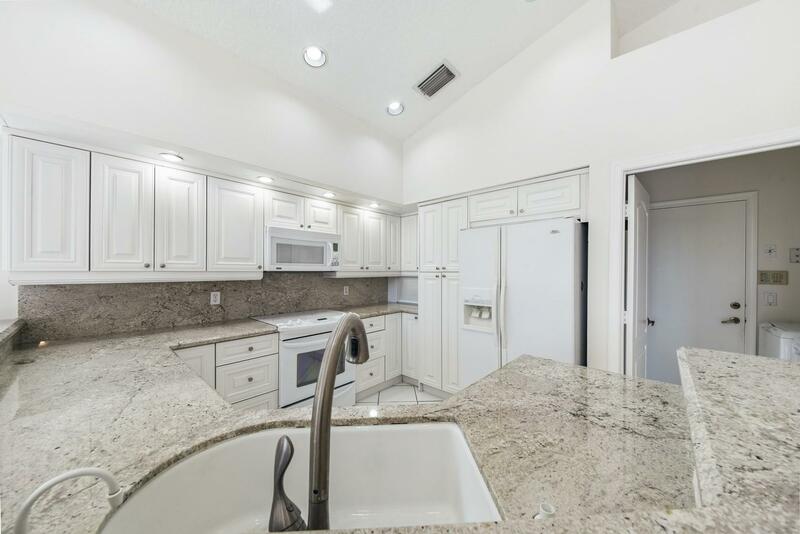 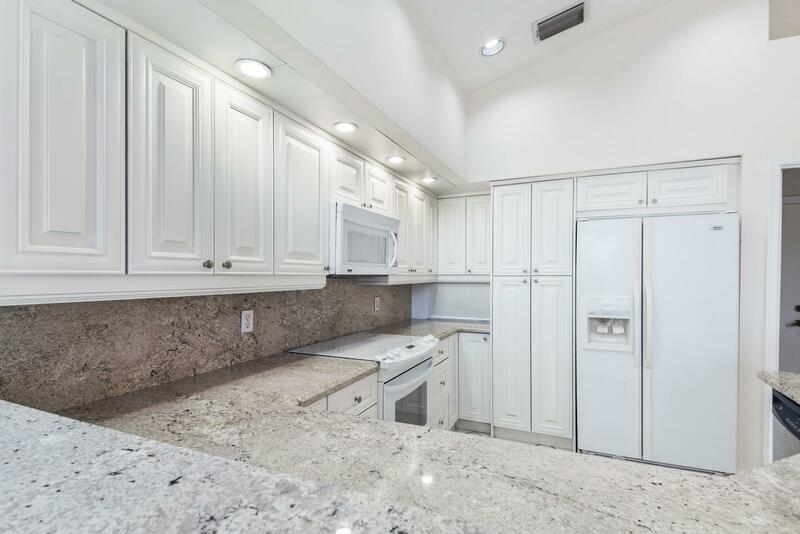 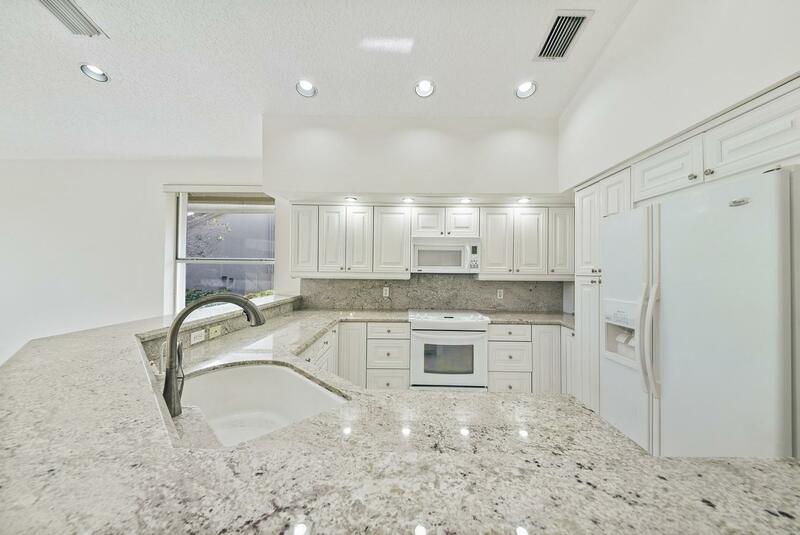 Stunning kitchen includes classic white cabinets, granite countertops, full granite backsplash, a breakfast nook and a snack bar. 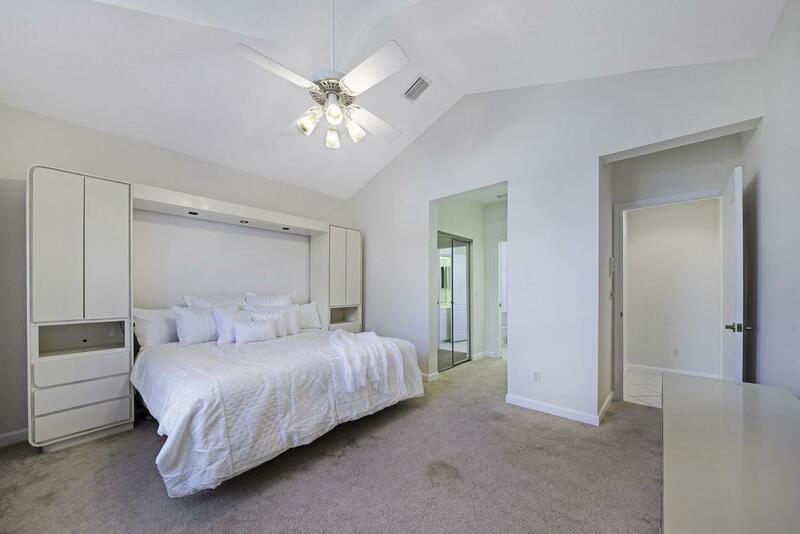 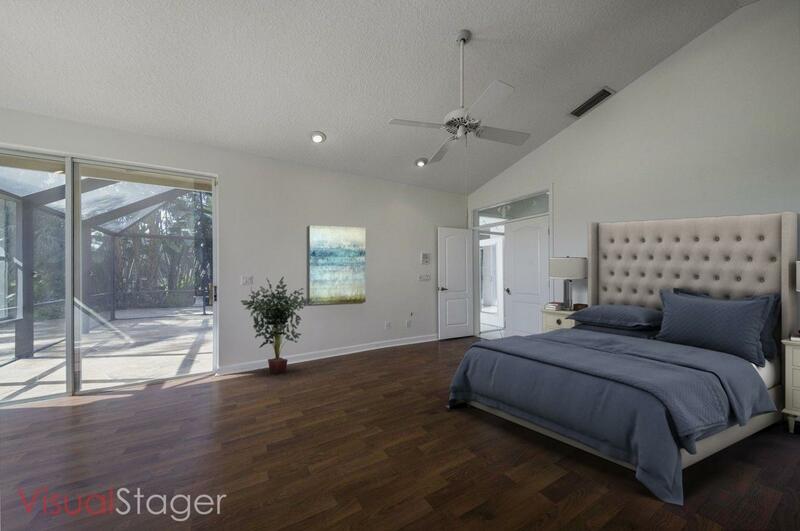 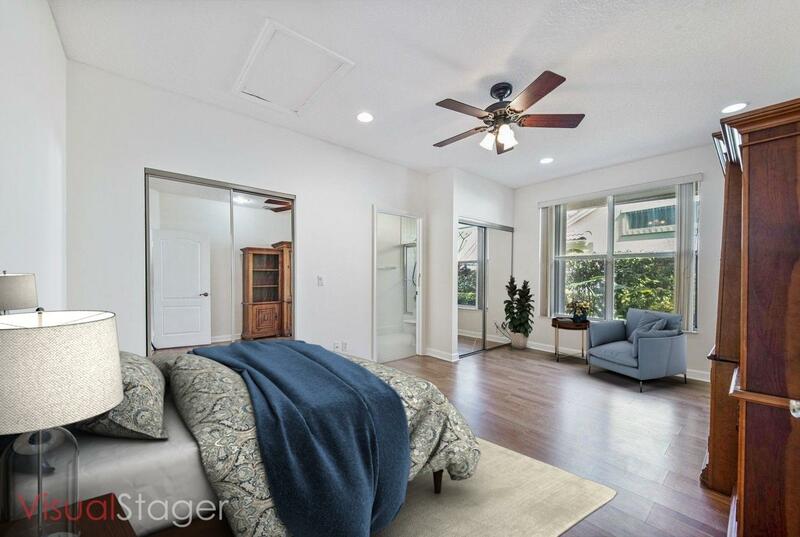 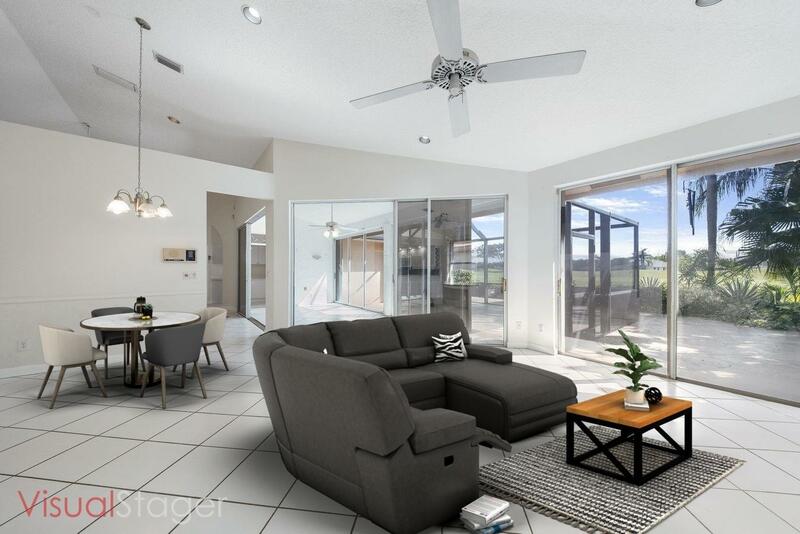 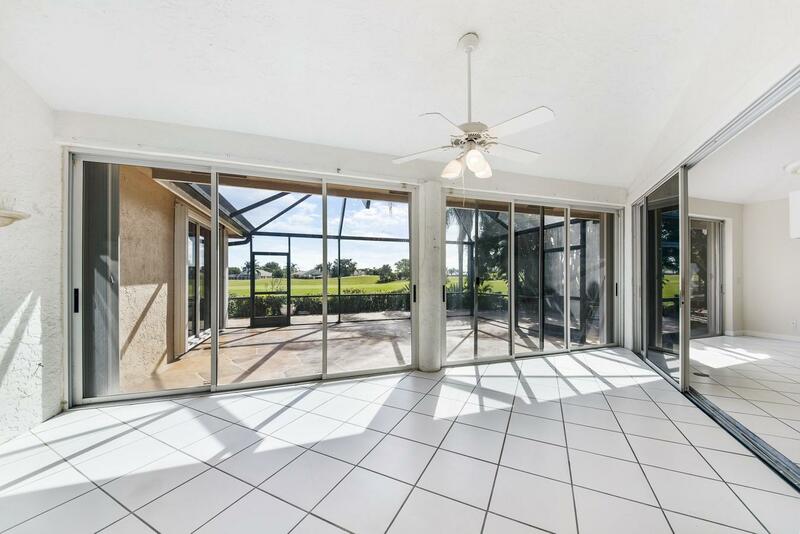 Master retreat boasts a double door entrance, a large walk-in closet, a sitting area and a slider to the patio. 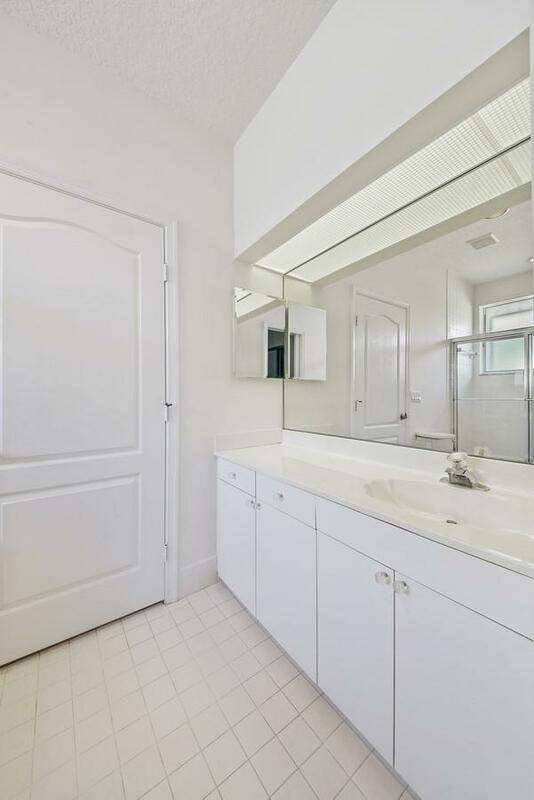 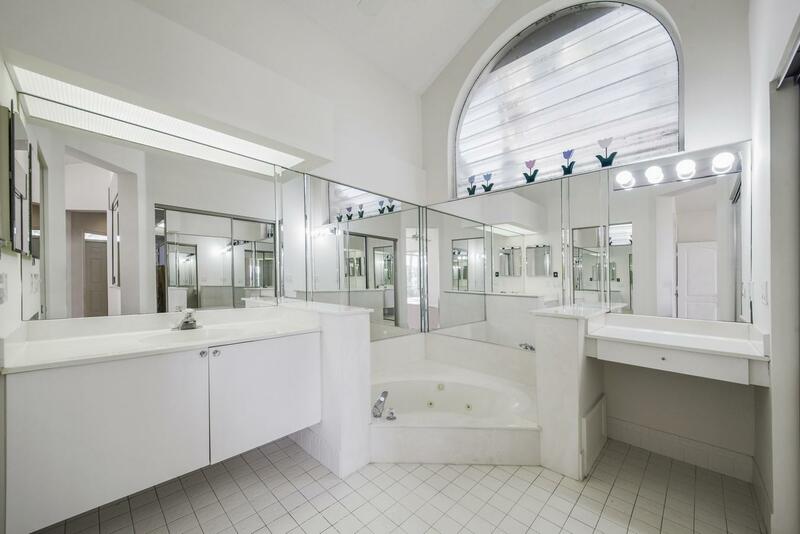 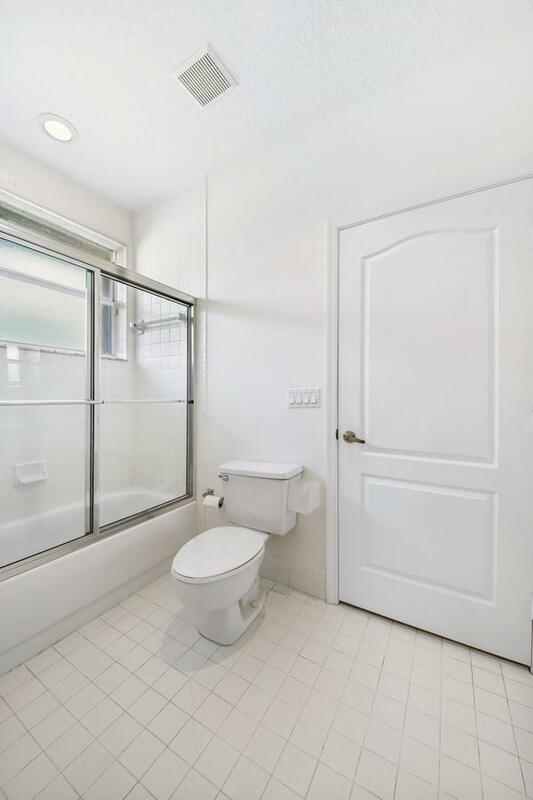 His and hers master baths; hers with a jetted tub and his with a walk-in shower and door to the patio. 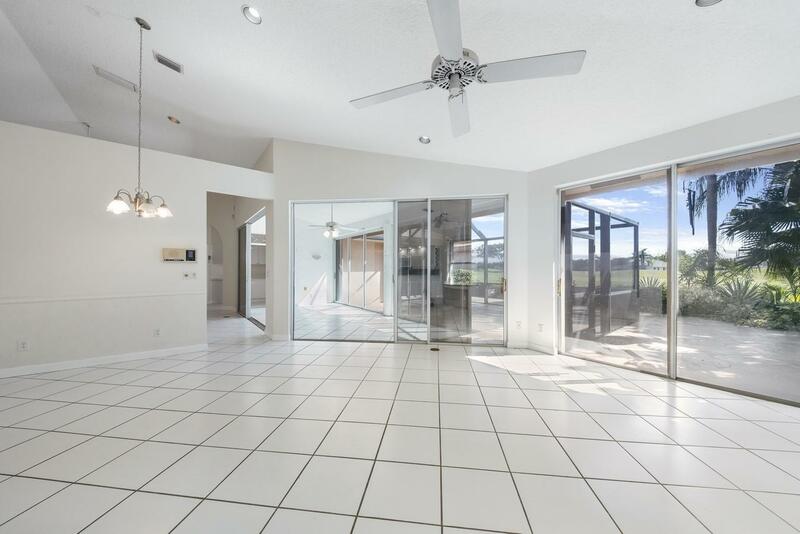 Neutral tile, vaulted ceilings, accordion shutters, central vac, an intercom system and an abundance of natural light complete this home. 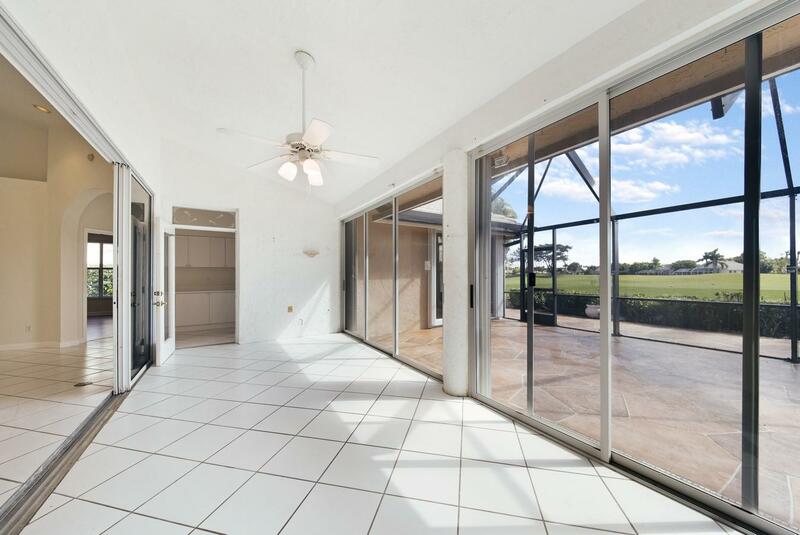 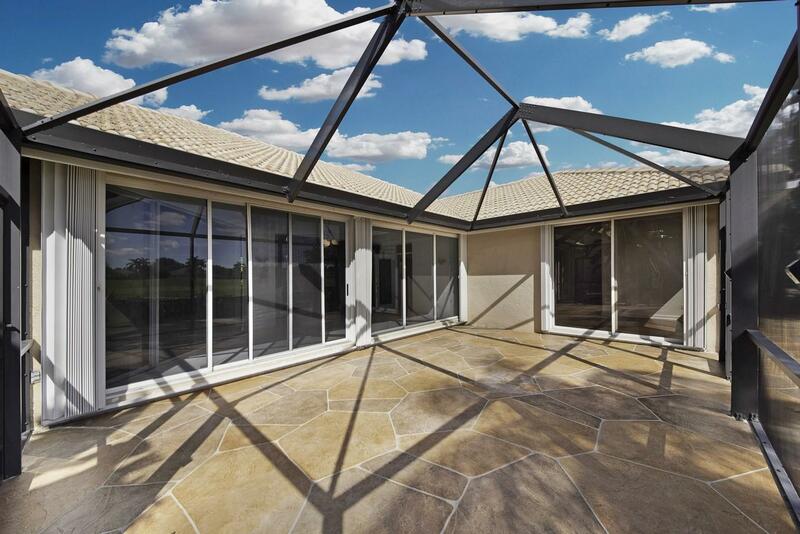 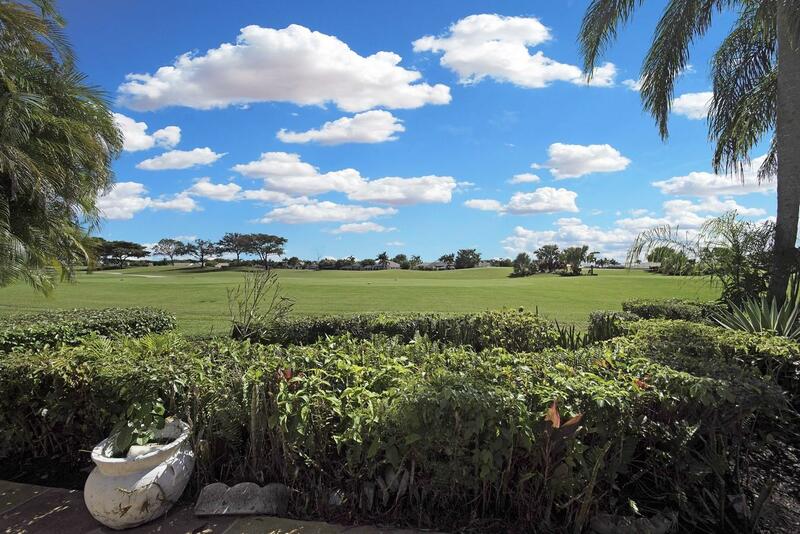 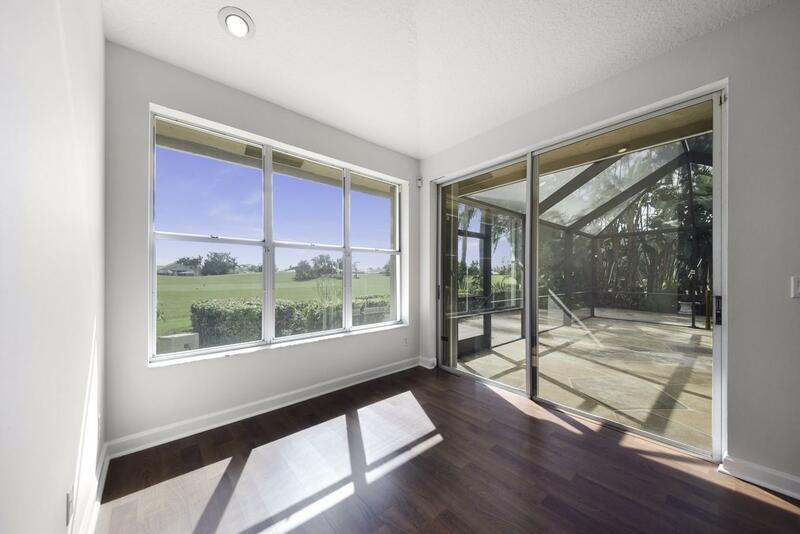 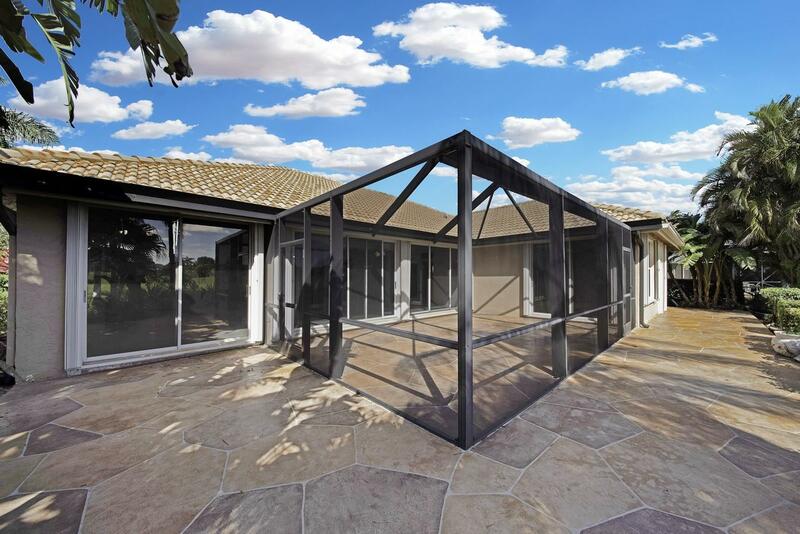 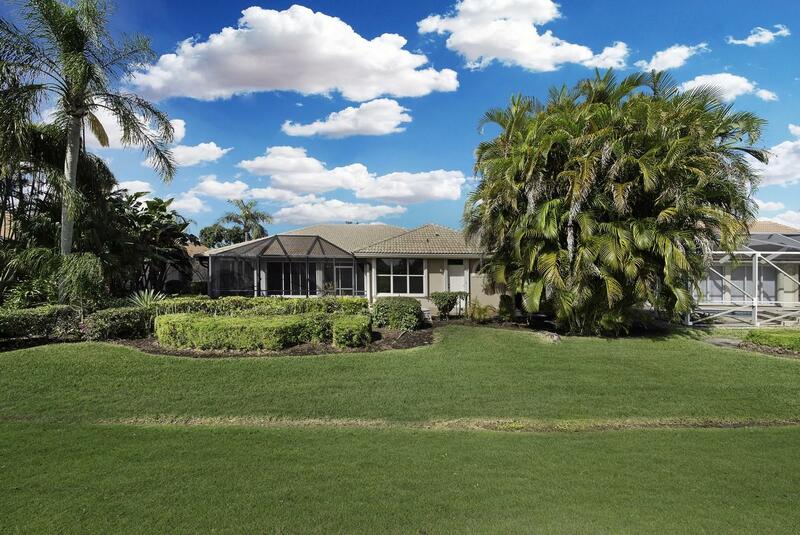 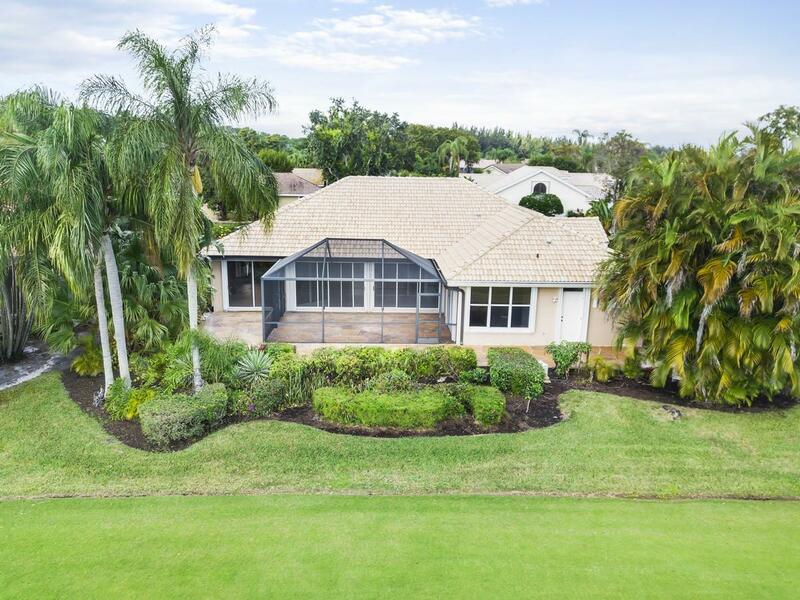 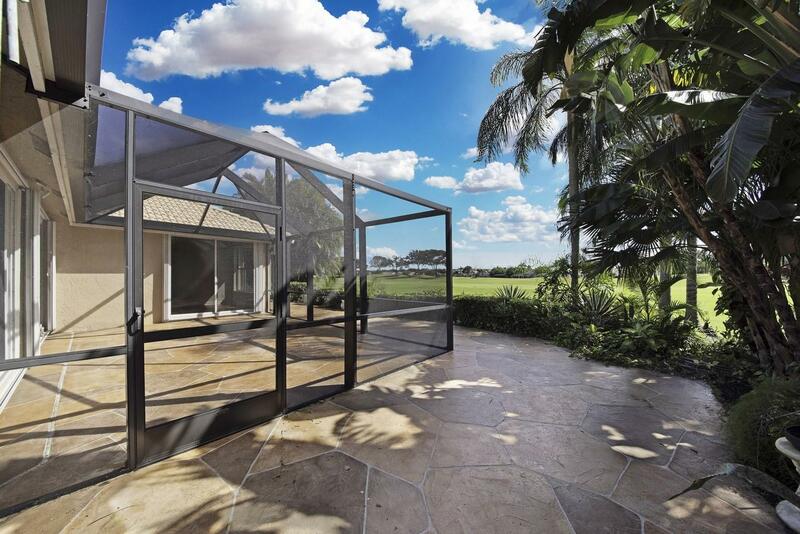 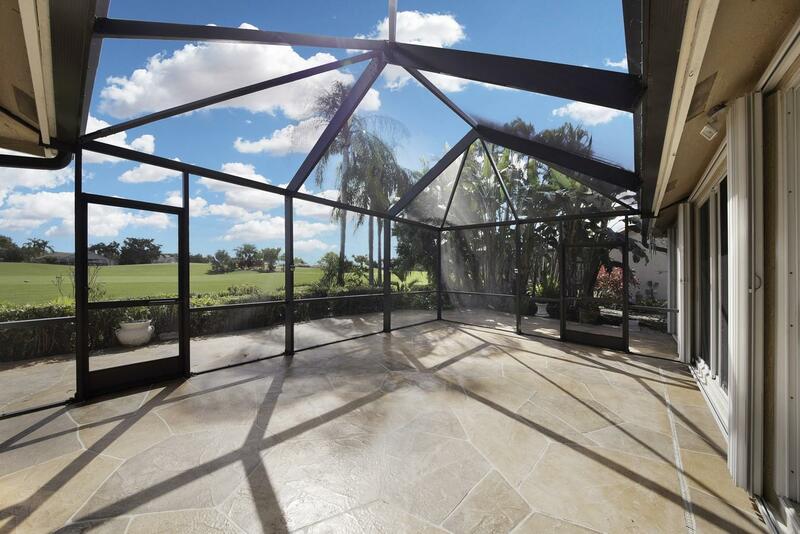 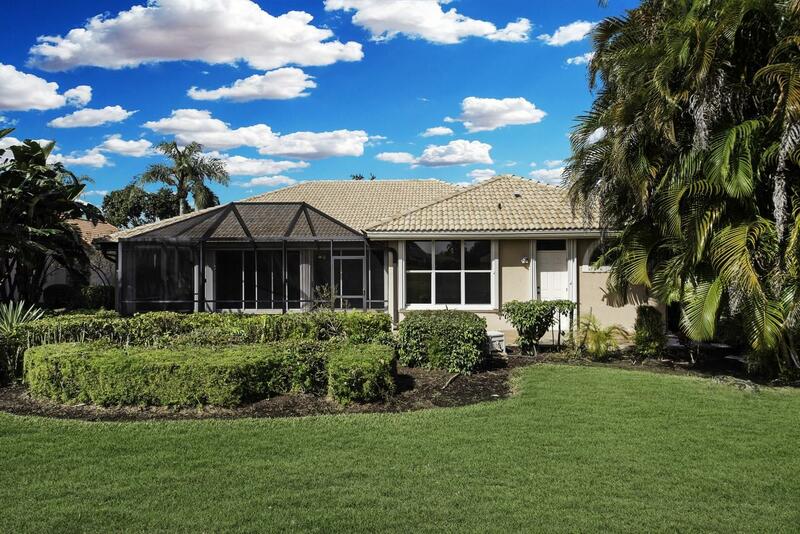 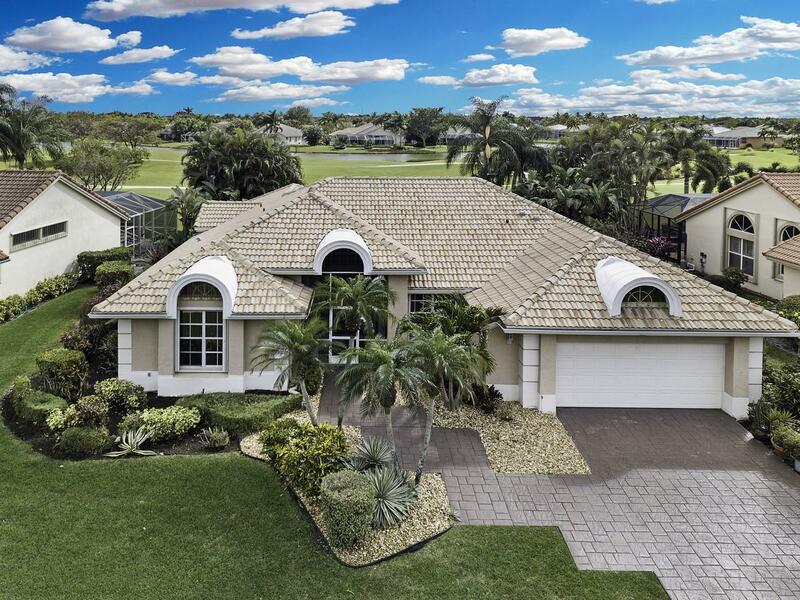 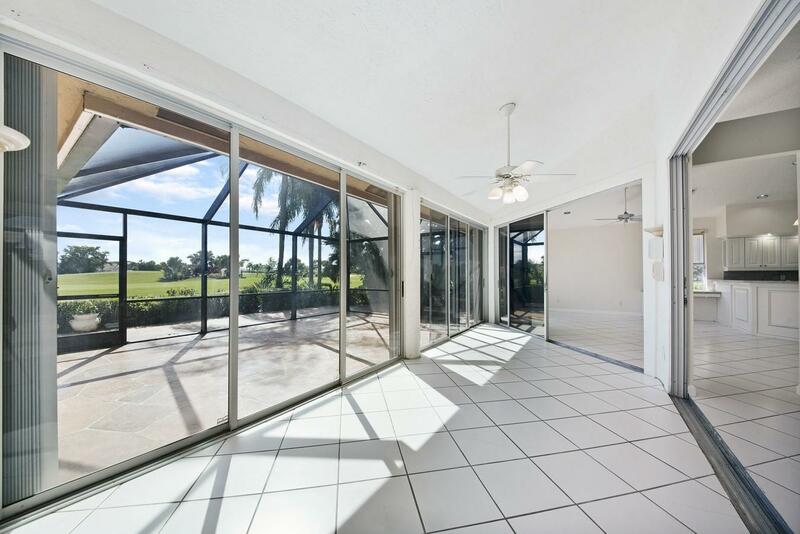 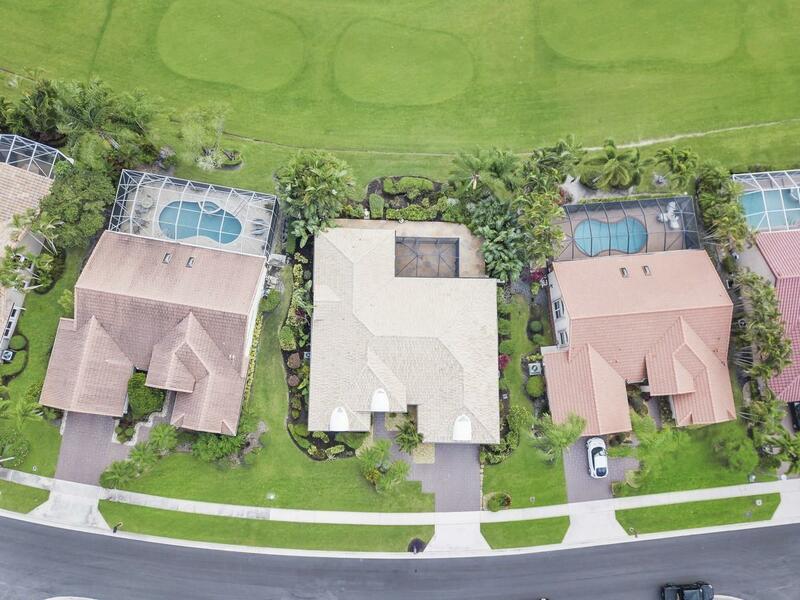 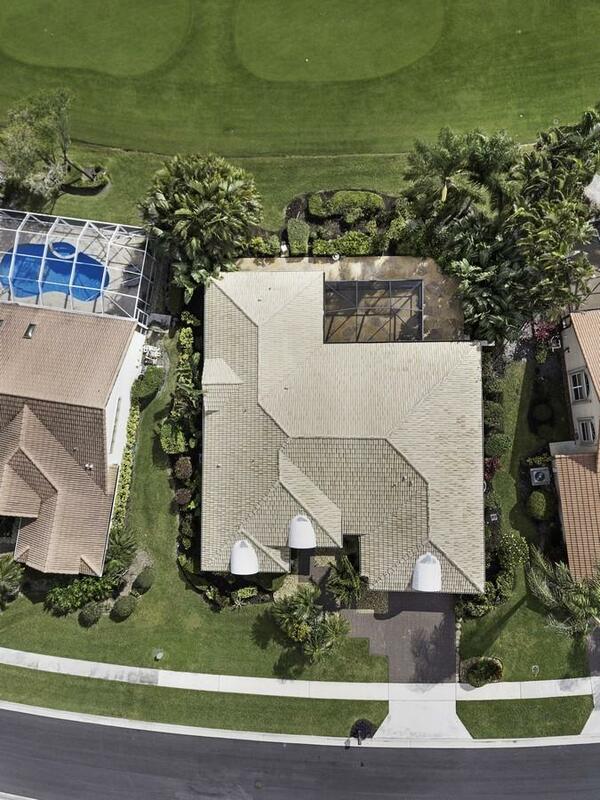 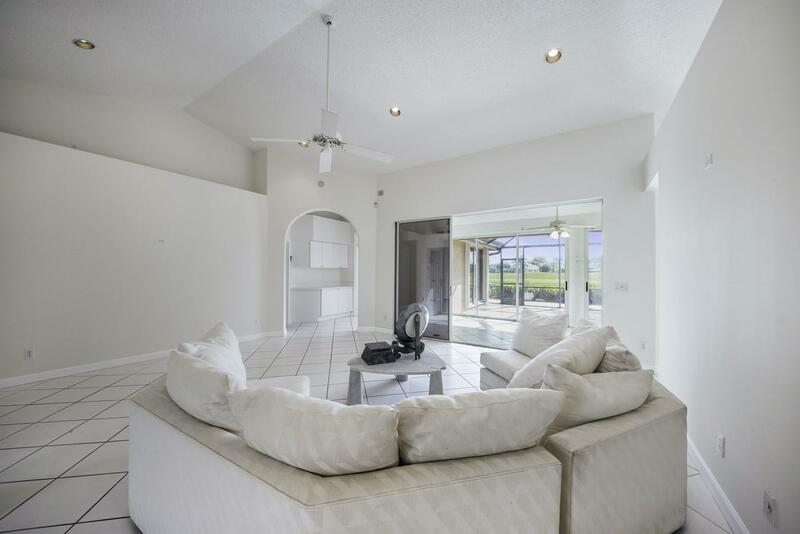 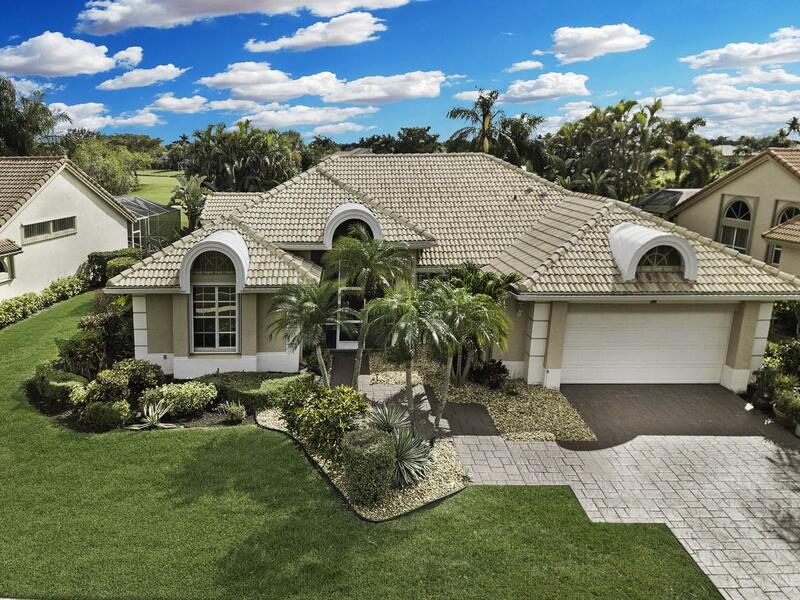 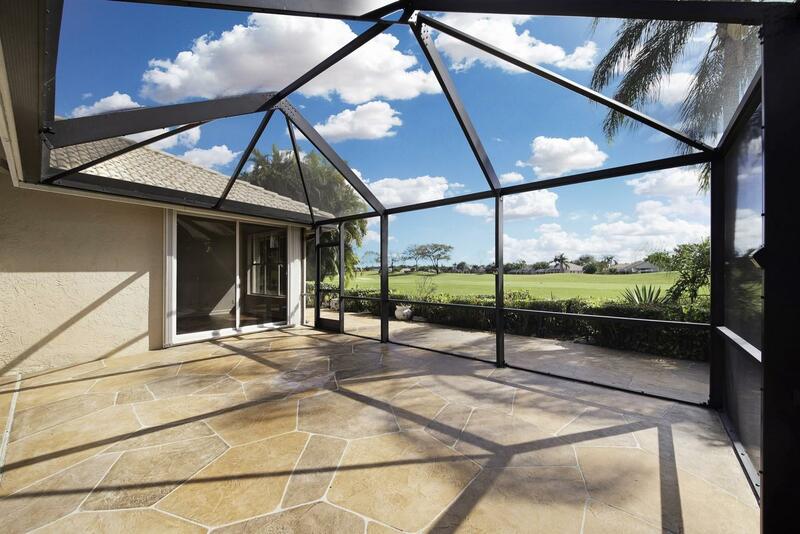 Spectacular enclosed patio overlooks the private yard, tropical landscaping and a golf course view. 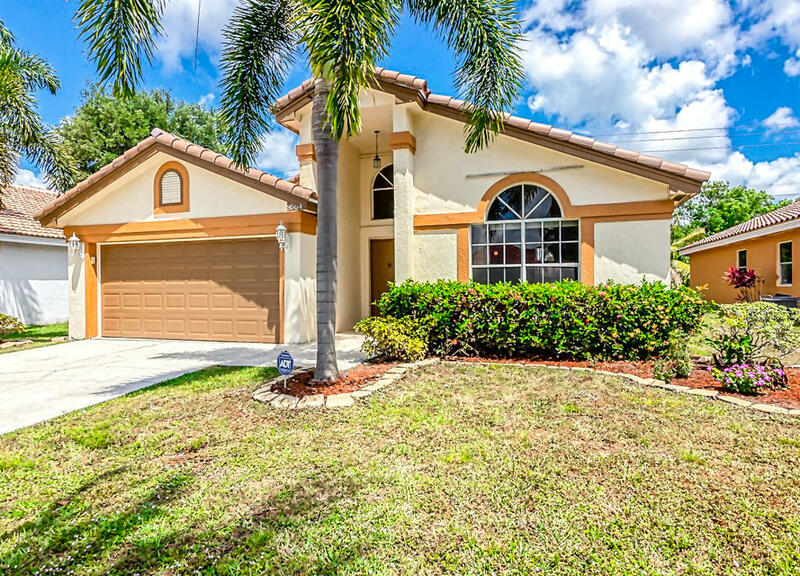 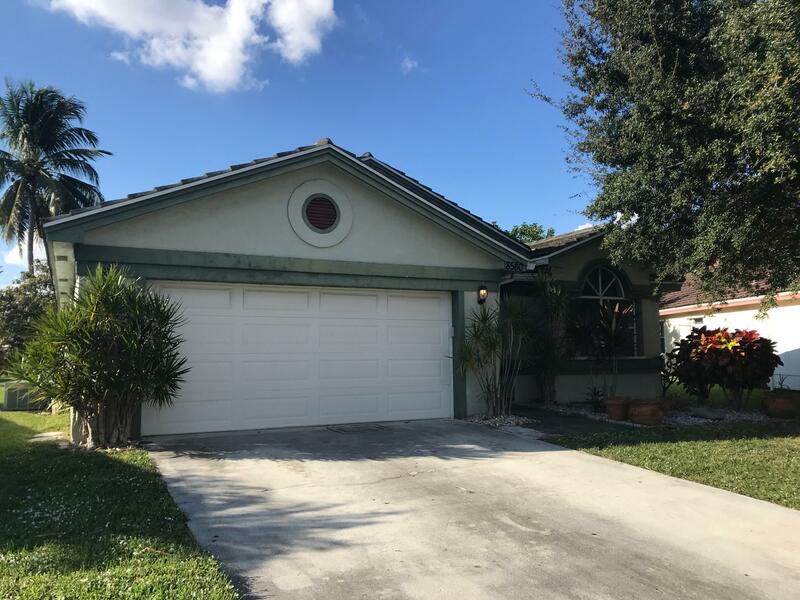 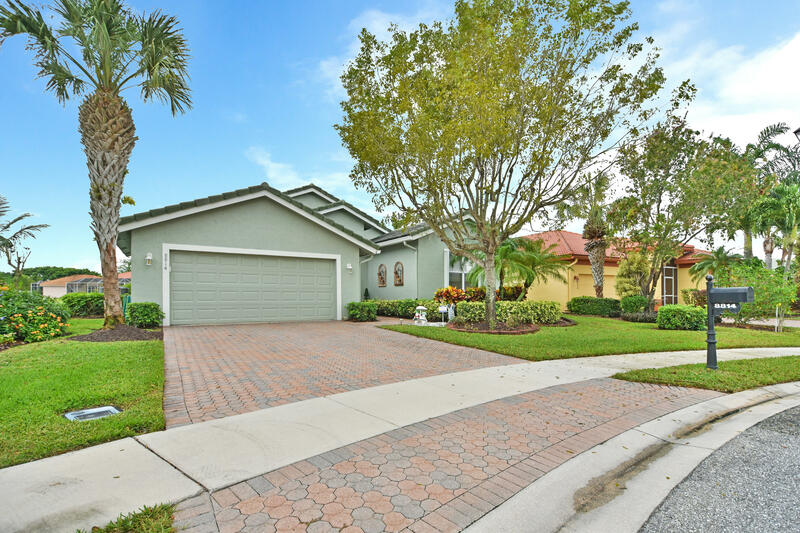 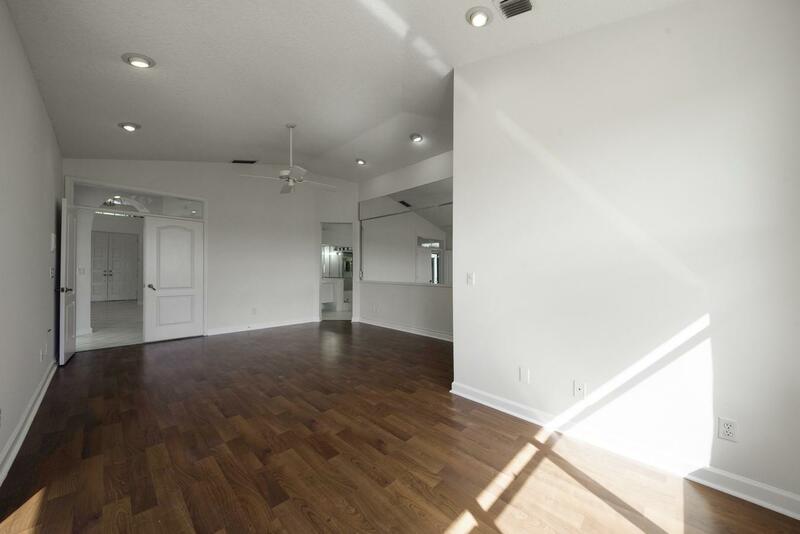 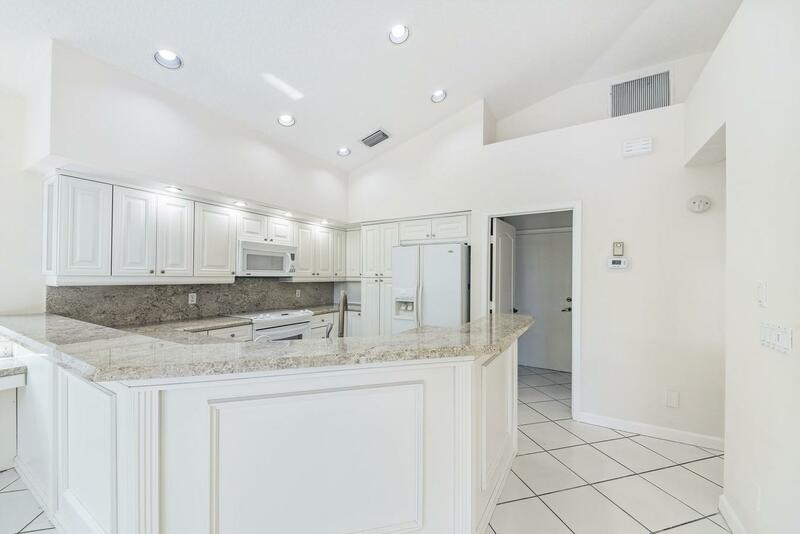 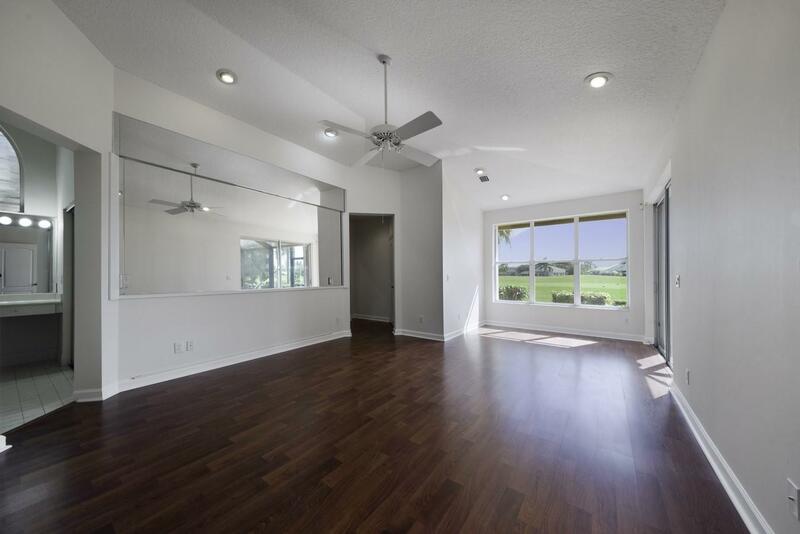 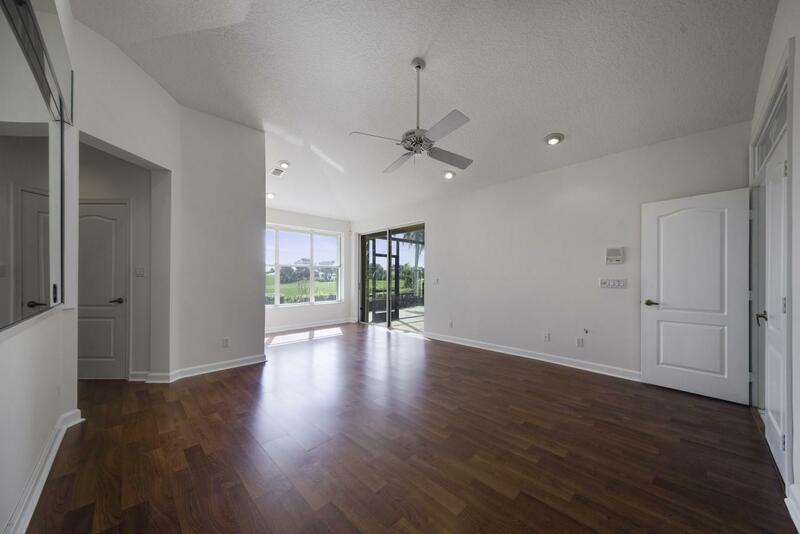 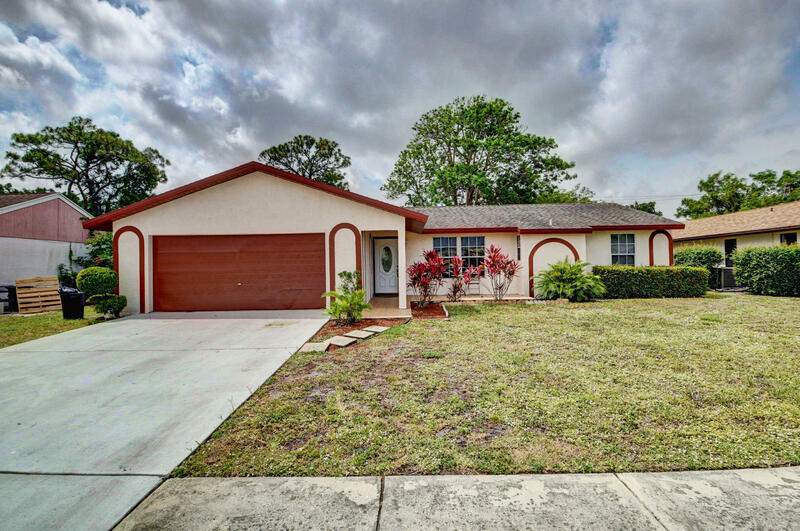 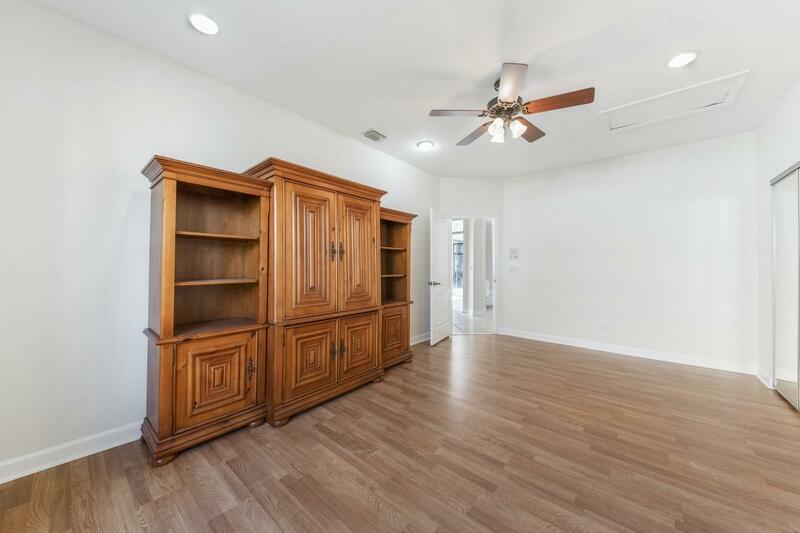 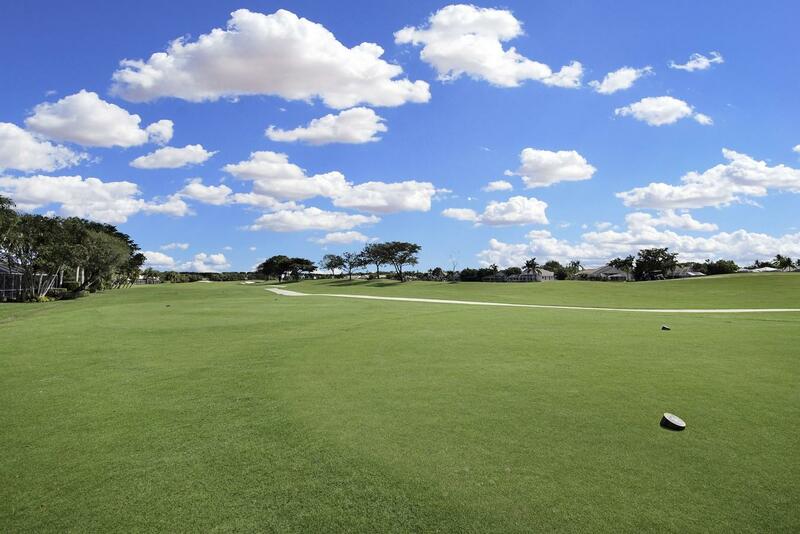 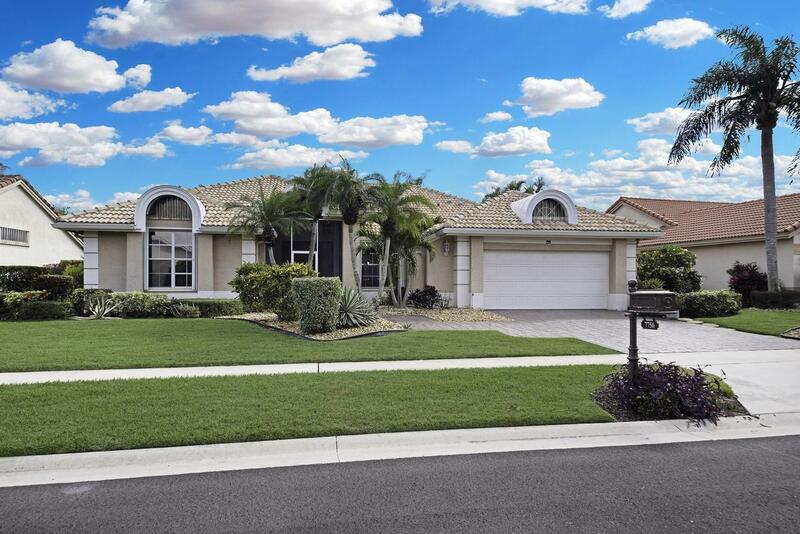 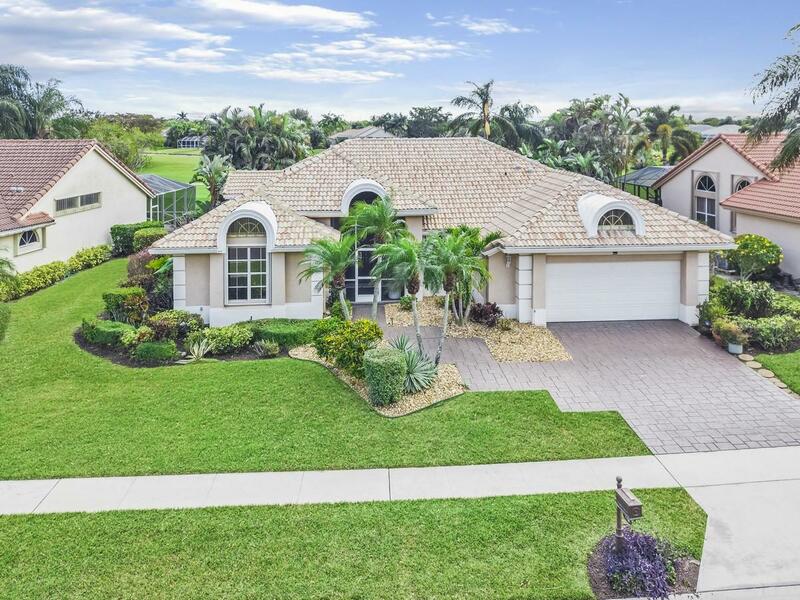 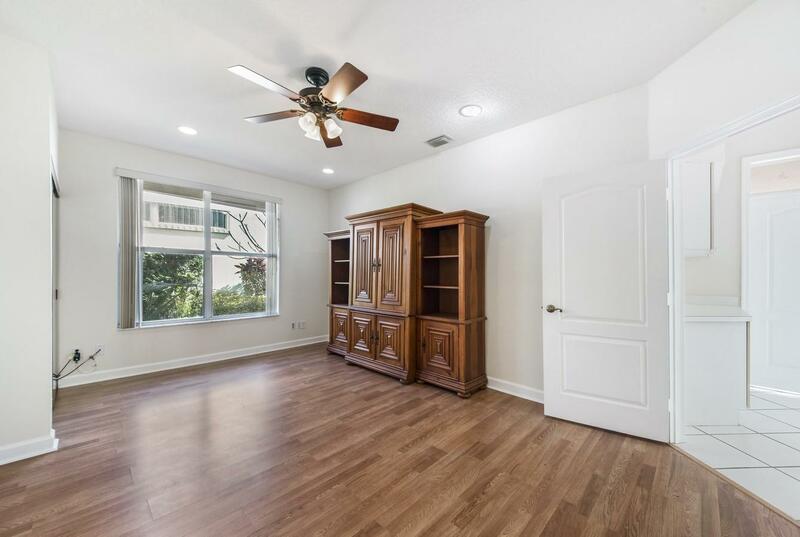 I would like more information about this property located at 7756 Dorchester Road Boynton Beach, FL 33472 MLS #RX-10500250. 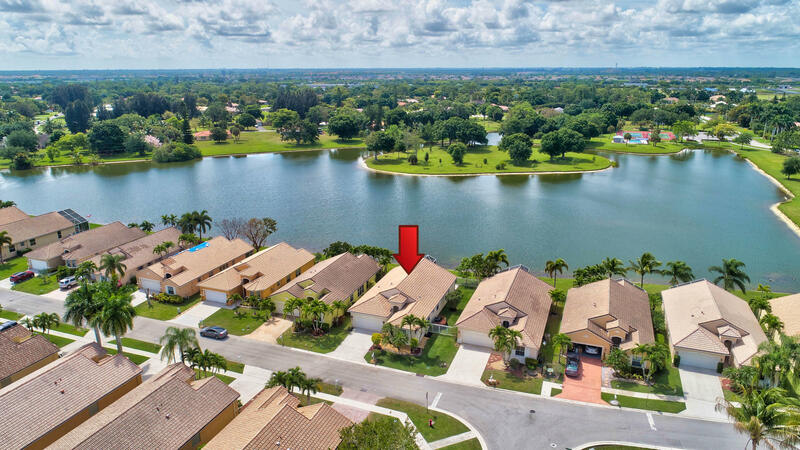 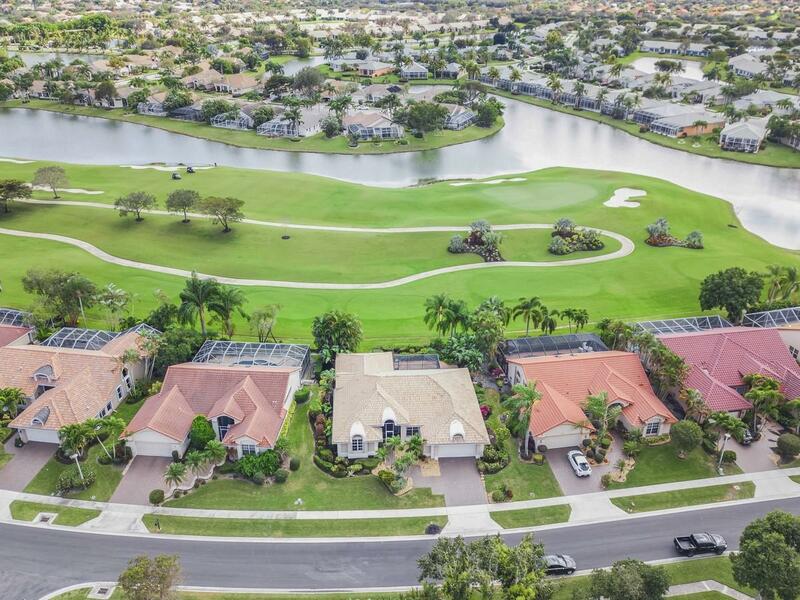 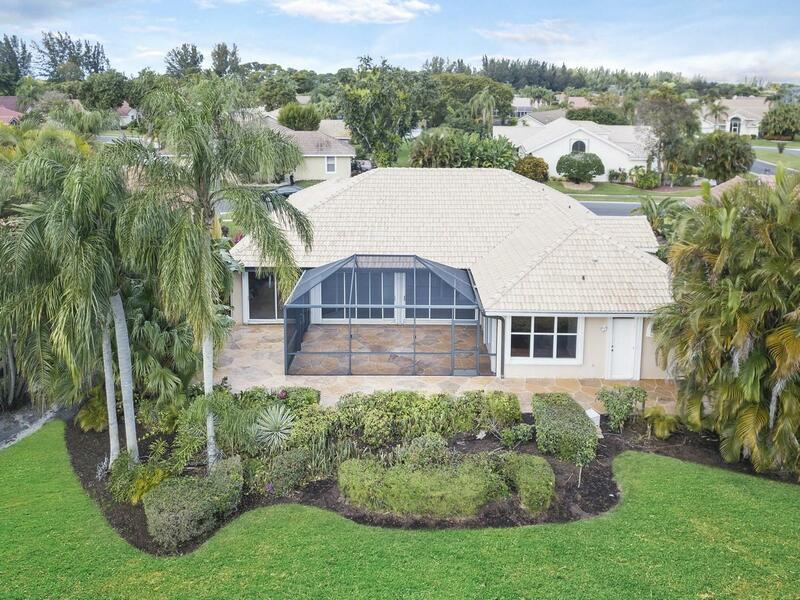 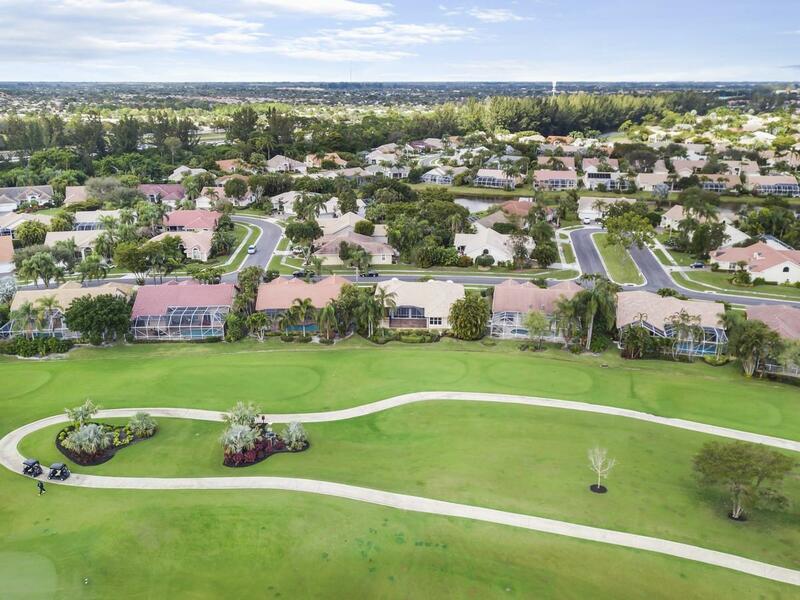 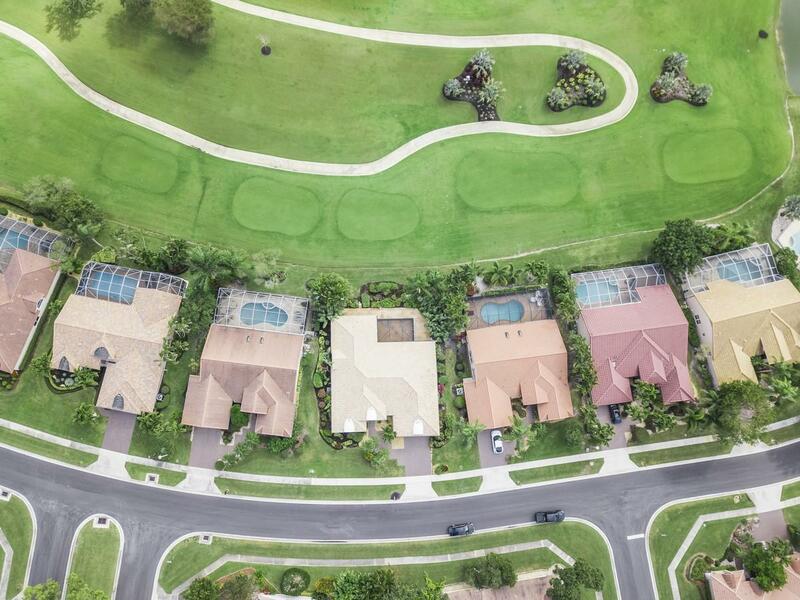 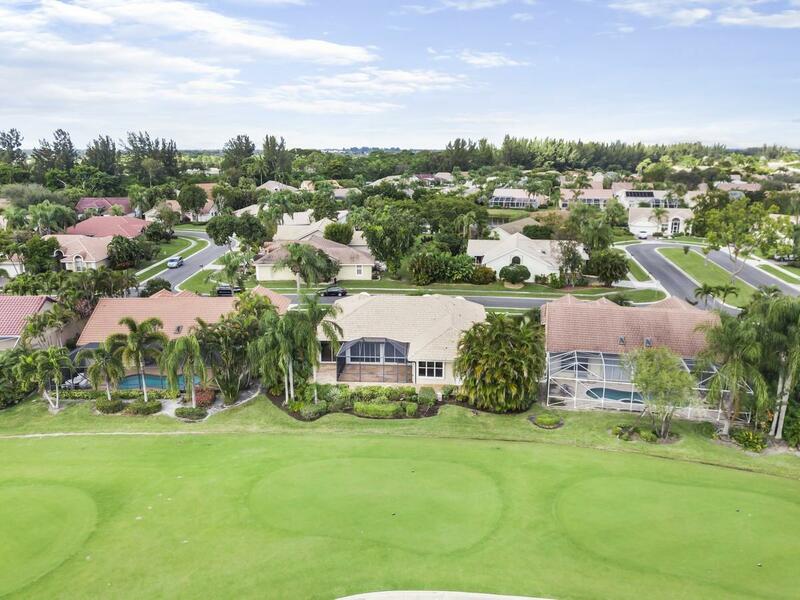 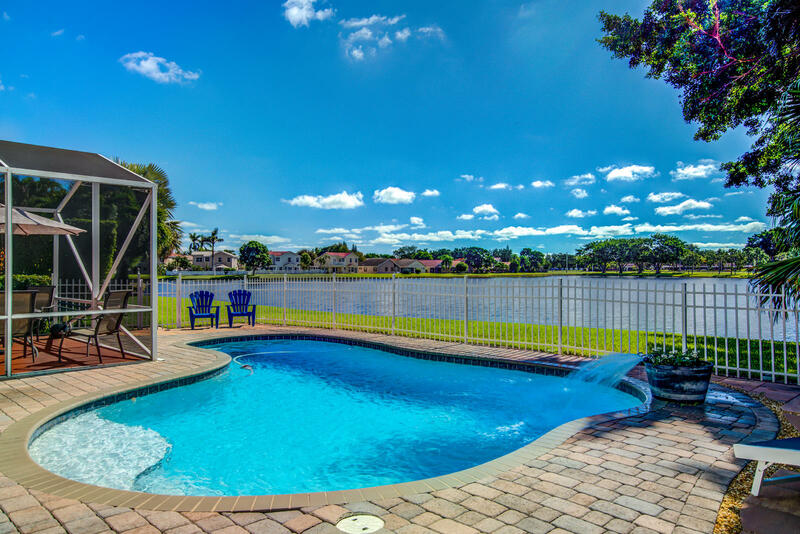 If you are interested in this property at 7756 Dorchester Road or any other properties in Boynton Beach please contact The Rucco Group at (561) 737-0366.